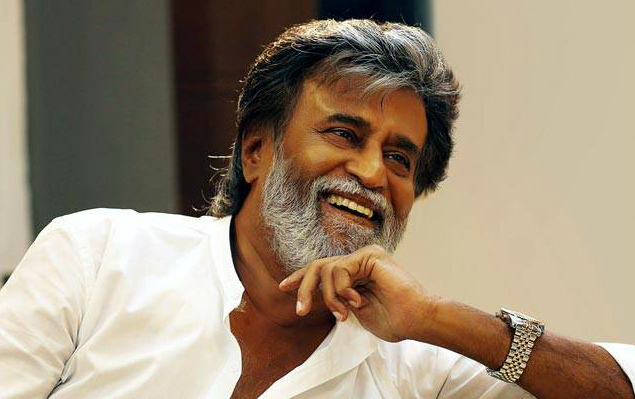 Home » Tamil » News » Will this be the symbol of Rajinikanth’s political party? Will this be the symbol of Rajinikanth’s political party? According to a leading website, Rajinikanth’s party could use the swan as its official symbol. The iconic Rajinikanth is beyond any doubt one of the most revered names in Indian cinema today. He enjoys a strong fan following thanks to his down-to-earth nature, flamboyant onscreen image and warm nature. These days, K-town’s ‘Thalaivaa’ has been grabbing attention because of his impending into the world of politics. Yesterday, during an interaction with his fans, the star said that he will make an announcement about his political stand on December 31. And, not surprisingly, this led to speculation of his launching his political party on the given date. According to a leading website, his party could have/adopt the Swan as its official symbol. The website also mentioned that his party could heavily draw from Mahavatar Babaji’s teachings at an ideological level. As such, his popular symbol too could be a possible choice. Well, this is a developing situation and it will be worth watching what happens next. Interestingly, Rajini’s political stance has been a topic of discussion for a while now. Sometime ago a source had said that his party would adopt a centrist stand on most issues. “Rajini would form a separate party. He will not join any other party, including the BJP. Being spiritual, Rajini cannot be a Leftist. Not being a hardliner, he cannot be a Rightist too. He will be a centrist as that alone will attract all sections of society,” the source had told a leading daily. Speaking about the superstar’s gameplan, a noted writer had said that he is not going to get involved in the caste-based politics of the state. The writer had also added that films like ‘Kabali’—which had a pro-Dalit theme—do not reflect his political ideology in any way, whatsoever. “People like his subaltern style and identity. In movies, Rajini is just playing the roles that his directors give him. Ranjith is a known Dalit activist and his movies are bound to have undertones of Dalit resurgence. ‘Kabali’ was a reaction to the 2012 Dharmapuri caste clashes. They do not reflect Rajini’s political thoughts or plans, “ the writer had told a leading daily. On the work front, Rajinikanth currently has ‘2.0’ and ’Kaala’ in his kitty. ‘2.0’ is touted to be a sci-fi thriller and has been directed by S Shankar. A sequel to the 2010 blockbuster ‘Enthiran’, it will see him reprise his Chitti character from the first part and is slated to hit screens in April 2018. Besides Rajini, it also features Amy Jackson and Akshay Kumar in the lead. During its audio launch, Akki had said that the film was a learning experience for him. As far as ‘Kaala’ is concerned, it is crime-drama has been directed by Pa Ranjith. In it, Rajini will be seen essaying the role of a gangster and sporting a new look. Besides ‘Thalaiva’, it also has Bollywood diva Huma Qureshi in the lead. Sometime ago, she had said that Rajini is a terrific person to work with. It’s an amazing experience to work with Rajinikanth. When he walks, everybody becomes silent and make space for him. For me, the most beautiful thing about him is the simplicity he carries. He is such a humble person. I have never seen a superstar who is so humble, who is so simple and down-to-earth,” Huma had told a leading daily.